Which are the Ways in Which Editors Perform Photo Clipping? Home > Image Background Removal Service > Which are the Ways in Which Editors Perform Photo Clipping? 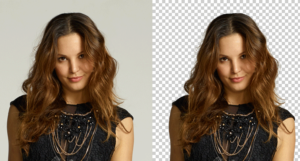 Clipping path is a popular Adobe Photoshop tool used to design or edit a photograph. For an uninitiated, a photo clipping service lets you use a portion of an image to be used in another backdrop. For instance, in case you have captured a building’s photo, the issue is that nearby structure would also come in focus. 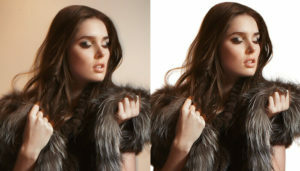 In such cases, the best clipping path service providers in the industry rely on this tool to cut up the necessary area. It is unlike cropping technique – when photos are cropped, editors cannot neatly go through curves. Beginners to the digital editing process might feel that a software’s eraser tool would be equally as good as using the deep etching technique. What they have to understand is that photo clipping is for images that are larger in size. The process of erasing large data from a photograph would take more effort and time. In case editors want to make a cut out of an object, then things such as hair and other minute details would be tough to form using an eraser. GIMP is another digital software, which does a fine job when it comes to photo clipping. Editors are able to retouch digital photos, as they like. However, if they want the job to be neatly done and the output to be of high quality, the best clipping path service is often done through Photoshop. Experienced professionals say that the Adobe software works better, although GIMP provides a fine alternative to it as well. If you are a rookie, it is worth using the software for deep etching, but keep in mind that the quality of output you can produce would not necessarily be at par with what pros manage to achieve with the best tool out there. The Pen tool in Photoshop lets editors a great level of control, which often leads to top quality edging of a product’s photo. Often, this means clients can use the deep-etched photo in several platforms, including print and digital, to achieve the desired output in business promotion or marketing. Experts offering the best clipping path service make sure that there are no visible white lines around a product photo’s edges when it is placed onto a fresh backdrop. Although clipping path is often used for product photography purposes, keep in mind that there are other fields where it is relied upon.